← Getting started with IAR for ARM and 8051. IDE quick setup guide. 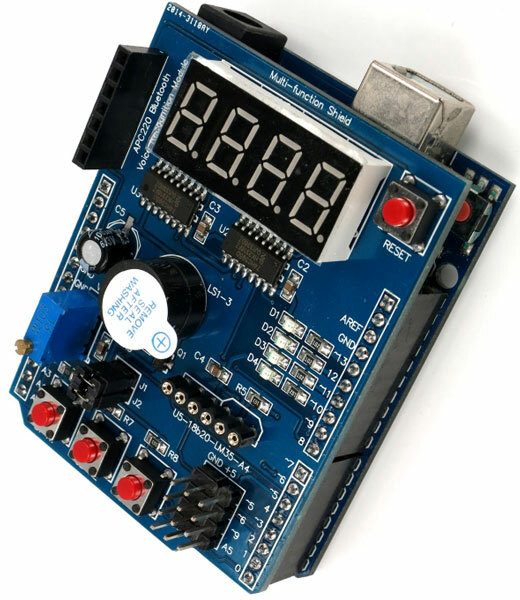 Take a look at this great multi-functional shield for the Arduino UNO R3. This shield can be inserted into the Arduino header and it requires no additional power supply. Some shields have too long pins under the 7-segment led tube and may contact USB connector. This will produce garbage on the 7-segment tube. You should cut long pins under the display or isolate the USB connector on your Arduino. The first program in the microprocessor world is a blink sample firmware. The next step is to write a sketch that utilizes user button and produces sound through the on-board buzzer. The buzzer on this multi-function shield is loud enough because it is connected to the transistor Q1. This p-n-p transistor makes it beep when the signal is LOW on #3 pin. In the datasheet you can see the connection circuit. You might know about the “tone()” function in the Arduino library that could be used to generate sound. Unfortunately this function cannot be used with my multi-function shield. 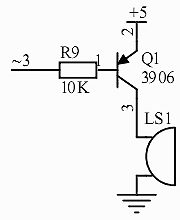 In the Arduino world the “tone()” function assumes that the buzzer is pulled down to the GND and it is silent when the corresponding pin ‘3’ is in a LOW state. However, the buzzer in my multi-function shield is silent when the pin is in a HIGH state. As I have mentioned above, the buzzer is driven by the transistor Q1. 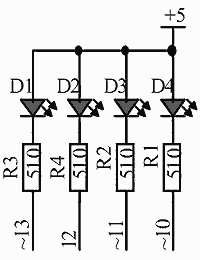 AFAIK, this transistor amplifies the signal and the active buzzer generates fixed frequency sound wave. Thus we cannot change the frequency of the sound. When the LOW signal arrives on the base terminal of the p-n-p transistor the emitter (+5) and collector currents rise. Somehow, this transistor works like a switch. Active buzzer contains an internal oscillator and it beeps when a DC voltage is applied. Even if we try the “tone()” function which switches the pin state from LOW to HIGH the frequency of the beeper does not change. Although pin #3 supports PWM it is still a digital pin without DAC, and it can generate only digital signals LOW and HIGH. Code samples (Chinese) and board schematics here. This entry was posted in Firmware and tagged Arduino, multi-function, sensors, Shield. Bookmark the permalink. Nice explanation about buzzer. Could you answer me on question about it: driving pin 3 in anyway results with low sound ticking on buzzer. I can not hear a beep. This will drive pin 3 into low state and will open the transistor. Then the sketch waits 1 second and we should hear sound. Finally, we disable buzzer. 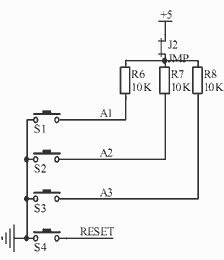 About this topic I have found a terms, active and passive buzzer. Upper code works well with active buzzer (with integrated circuit). After experimenting I have found that my buzzer (on multi function shield) is passive which means that must be driven with frequency 20 – 20kHz. That works correctly. Also, I could do it with “tone” function. Lucky you are! Could you please post a link where you’ve got your shield with passive buzzer?